Exclusive to Unijet in the UK market, a popular family friendly complex offering comfortable accommodation in a pleasant location. These apartments are set in quiet surroundings amid olive trees. They are located along a narrow path. The apartments are located in a quiet location approximately 5 minutes walk from the town centre. Design of the apartments are laid out in 3 blocks with some facing each other. OK for socialising with other residents but not good if you've got noisy neighbours. The apartment was ok for our needs but our bathroom was showing its age and was not as clean as it could have been. Air conditioning was ridiculously priced at 90 euros per week! Pool was of the freeform type, not massive but adequate and was cleaned daily. Ample amount of sunbeds per person as well. Staff were helpful and courteous and fairly friendly however if you are looking for the type that are out going and animate then you will be disappointed. Our holiday was great but we made it our own, there was no great entertainment at the pool bar and the staff were a bit changeable to say the least! The pool area and apartment itself was clean. The room was airy which was lucky as the air con was ridiculously expensive at 90 euros A WEEK!!! If you get a corner apartment count your self lucky as the air flow is better when you open the balcony door and the window. Needles to say it was close to the beach and town centre and if you do choose to stay in Elounda the bars and taverns are very friendly and the food is brilliant. 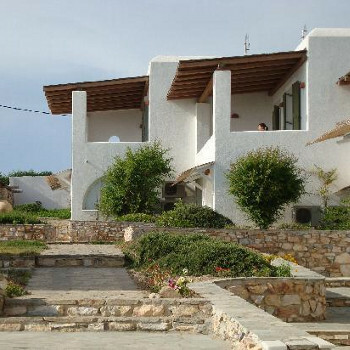 We would definitely go back to Elounda but NOT the Irene apartments. We booked this hotel with First Choice over the internet approx four weeks before departure and got a very good deal. I've got to admit we were a little worried before we set off thinking we would end up in a holiday from hell resort and hotel but we had no need at all to worry, the apartments where clean, roomy and had all the basics needed. The grounds were spotless and the hotel staff although sparse at this time of year where very friendly and helpful, they had a nice small/medium sized pool and pool bar which served snacks and drinks and a large screen T.V. which showed all the footie you could want (if you like that sort of thing). It was only two minutes walk to the centre of the resort but in a quiet location (a bit dark walking home late in october but we all felt perfectly safe) the beach was approx 5 mins walk and clean. Overall a great holiday had by us all. Found Irene Apartments to be reasonably well located, close to all amenities, and well equipped although the bathrooms were not very well designed. We,however, found ourselves to be in Room 201 which is located immediately opposite the apartment occupied by the proprieter and his family. Their door was open from dawn until dusk and to say that they were noisy would be an understatement. This stopped us using our terrace and spoiled our holiday to an extent. We also felt that the charge of 90 euros per week for air conditioning was exorbitant. quiet location less than 5 min walk from resort. air con a bit pricy 90 euros a week. quiet helpful owner,barmans a good bit of fun. apartments quite comfy bathrooms could have been a bit better.would stay there again.nice clean pool area. Location of the Hotel was good less than 3 mins from shops and sea. Hotel was clean although room was not cleaned at a regular time, hence being S/C you had no idea when the maid would turn up, could be Morn, aftn, or early evn. Bar food was good, also pool facilities, barman was excellent, some of the other staff were a bit offish. Entertainment was nil, but nice if you liked it quite. Pool facilities were available to Non Residents, hence being small did get very overcrowded during the day. Air conditioning was an extra if you were on a package holiday and considered very expensive at 90 Euro's/Week, and not that good. If you booked your own appartment then the air conditioning was Free???? Altough the jouney from the airport to the hotel was a disaster with the coach getting lost the hotel and its owners couldnt have been any better. We have never come across a more friendly hotel in years. The resort was small but beautiful and the restauraunts many and varied. Something for everyone. The rooms had air conditioning available at a reasonable price and the owner and his family were relaxed, friendly and exceptionally helpful. We plan to go back in the next couple of years.